I don't blame you, Blogger. I really don't. It's China. China and their hatred of all things Google. So. Here is my second (and hopefully last) attempt at this post. Zhangjiajie (Prounounced Jong-Juh-Jay) has been my favorite vacation so far. 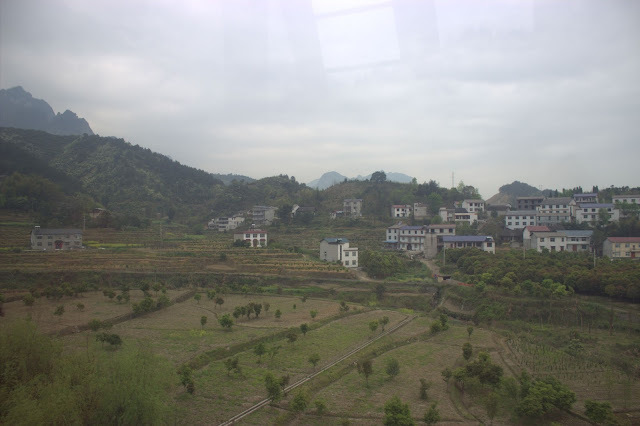 I'm a country girl and China is, for the most part, anything BUT country. It's crowded and busy and industrial. I get tired of the city pretty quickly, so being able to leave it all and spend four days in a gorgeous park was incredible. 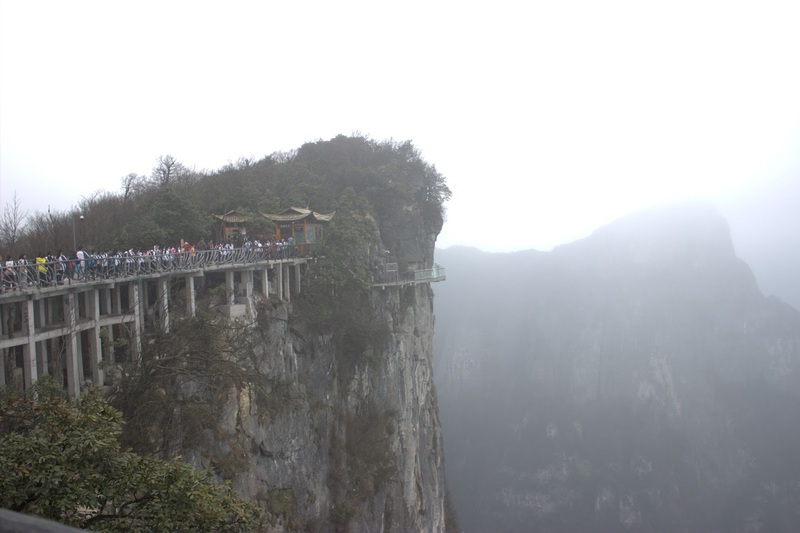 We left for Zhangjiajie on Thursday morning. Let me tell you a little thing about traveling: It's not fun. Traveling as in exploring new places and experiences different cultures is super fun, sure. But traveling as getting there is not fun. At all. Especially budget traveling. 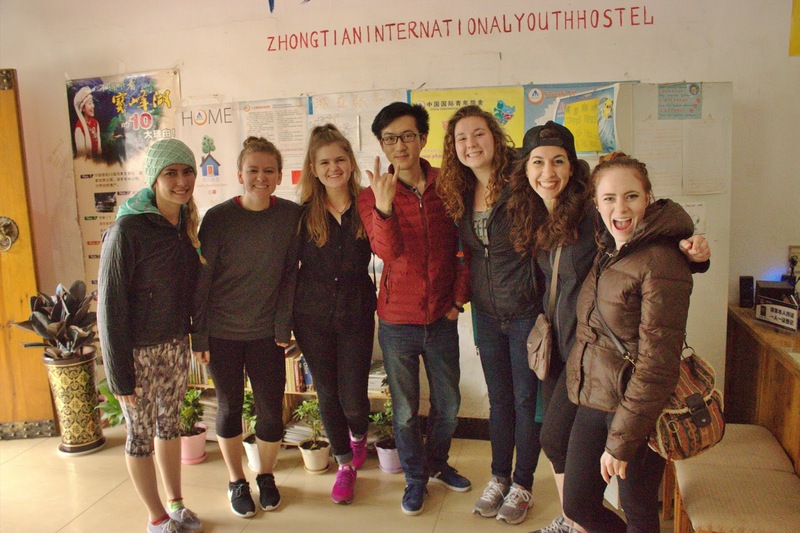 It includes hours of sitting around in sketchy places, hauling heavy luggage around all day, and having to navigate your way to a crappy hostel at two in the morning when you're hungry, tired, and cranky. 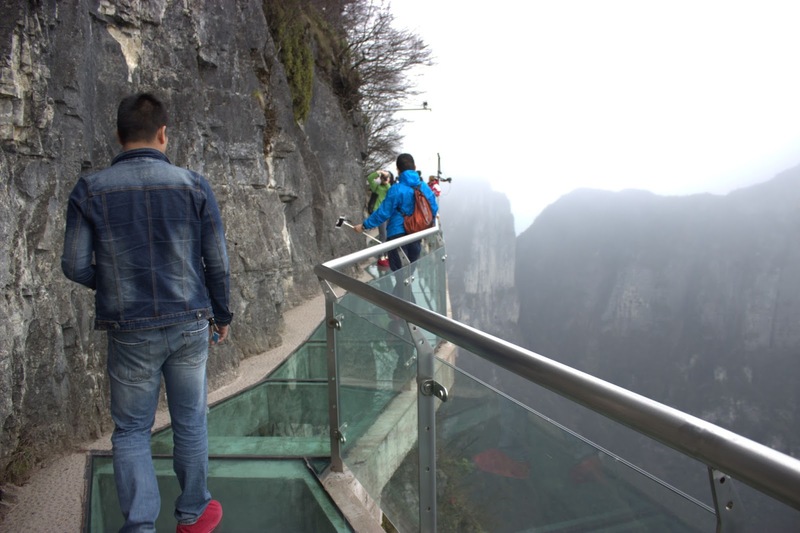 That's how our trips to everywhere are, and Zhangjiajie. The difference this time was that we took an overnight train. Some of my roommates actually like these trains, but I don't. They are dirty, loud, and cramped. Basically there is a small aisle down one side of the train and beds lining the other side. The beds are about two feet apart and stacked three high. My bed on this first trip was a top bunk, which only gave me about two feet between the bed and the ceiling. I couldn't even sit up. It was very claustrophobic. Our train ride was 15 hours. We left Thursday afternoon and got in Friday morning at 4:00 am. I slept for about two hours because of a chatty six-year-old so I was as exhausted as ever when we got in that morning. It took another three and a half hours of waiting around and bus rides before we made it to our hostel. Our hostel was pretty nice. I mean, the rooms were nothing special and like every other hostel we've been to the toilet got clogged two days in and was never fixed, but the hostel owner, Victor, was great. He was super helpful and friendly. 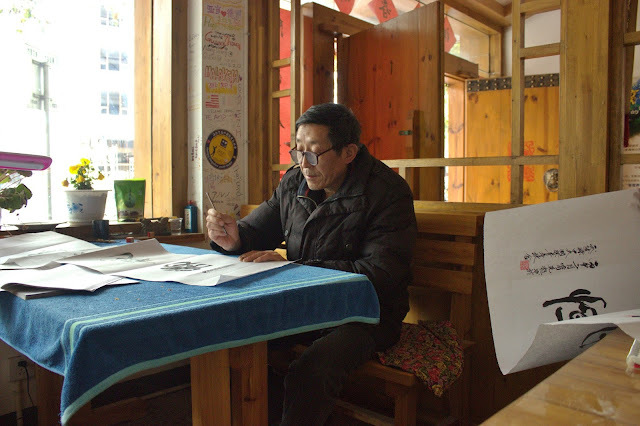 His parents also worked at the hostel (his mom made food and his dad made us all personalized signs with Chinese proverbs on them) and they were the sweetest couple ever. The six of us with Victor. Once we finished checking in it was close to 9:00 am, and we were all looking forward to a long nap before taking on the day. Then Victor told us if we wanted to hit all the places on our list we needed to head out immediately for our first destination. Somewhat reluctantly we agreed, dropped off our things, and were on our way. Day 1 was Heaven's Gate. 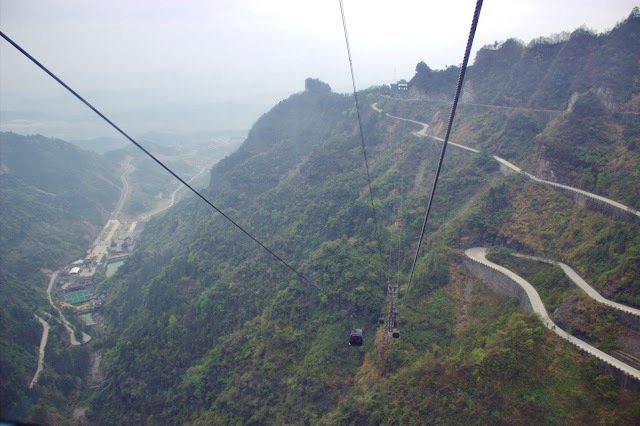 First we rode a bus to a nearby city and got our tickets for the park which included a ride on the world's longest cable car. The cable car was amazing. It took us up out of the city and through the mountains. 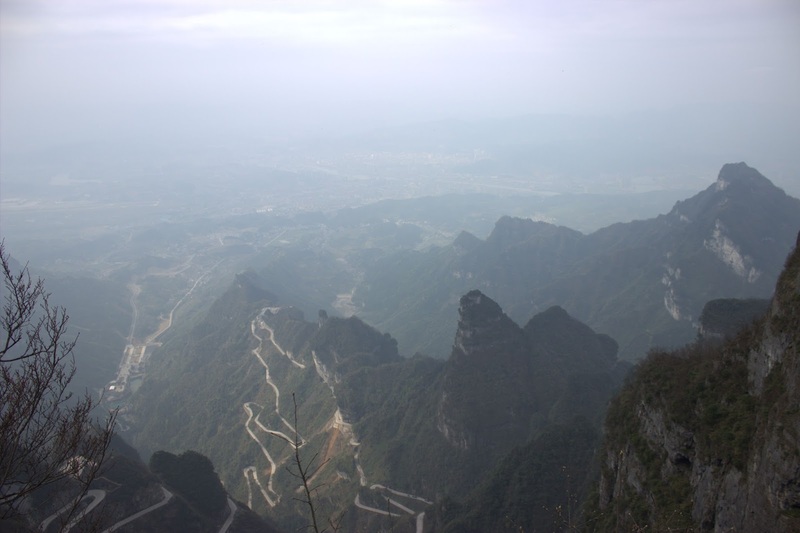 It was incredible to see the scenery from that point of view. 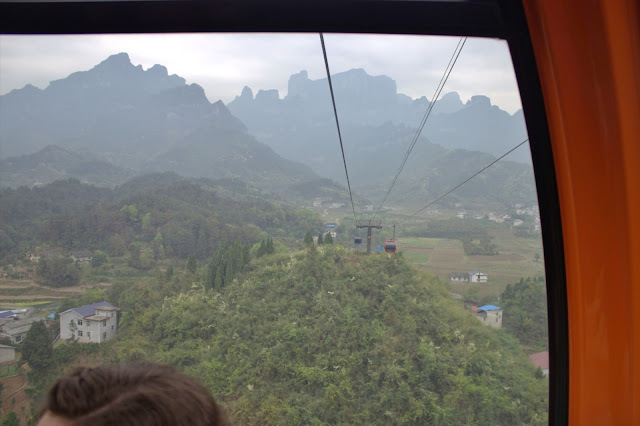 The cable car dropped us off really high up on a mountain. From there we took a path that led around the mountain along the cliffs. It was pretty foggy outside, which made pictures difficult but the actual scenery was gorgeous. Very mystical. It was such a contrast to the rest of China, and I loved it. After walking for a while we came across a pretty cool attraction. For 5 yuan you could walk across a balcony that wrapped around the cliff that was completely made of glass. Of course we did it, but it wasn't quite as scary as it might sound. 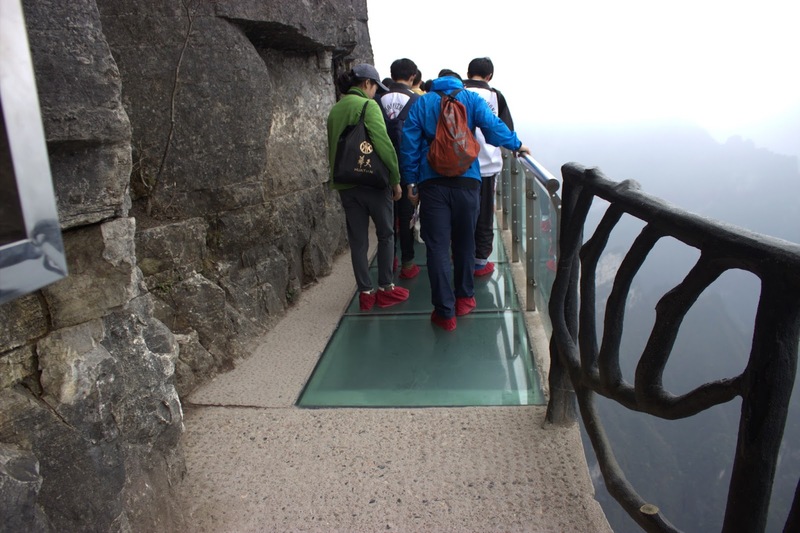 Most of the glass was faded and smudged so it was hard to see the sheer cliff drop off right below you. But there were a few panels that were new, and those were pretty freaky. Cool-freaky. After the glass balcony we came to the "Forest of Wishes". 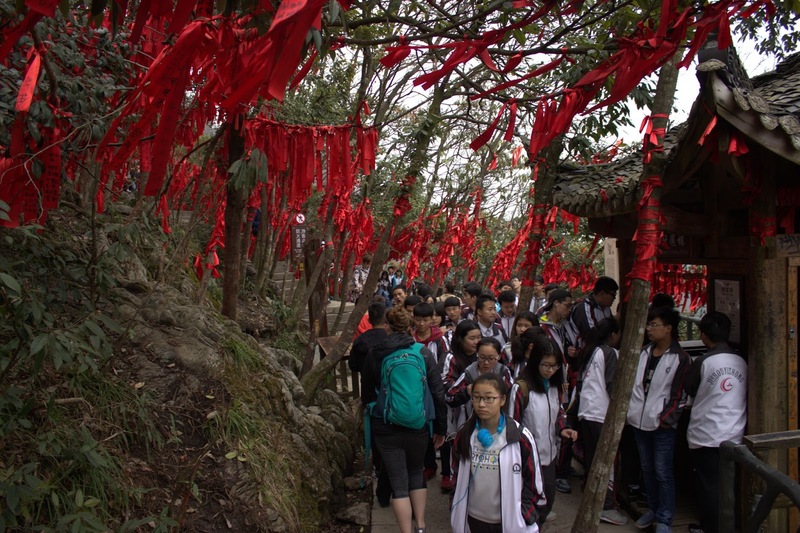 You could buy a piece of red cloth (a lucky color in China), write a wish on it, and tie it to a tree branch. Again, pictures don't do it justice. Finally we got to Heaven's Gate. We came from the opening at the top and took the stairs down. 999 of them, to be exact. And let me tell you, going down stairs can be just as hard as going up them. These steps were oddly shaped and uneven and by the time we got to the bottom our legs were basically jello. When we were done goggling at the sheer coolness of Heaven's Gate we took a terrifying bus ride down the mountain with a bus driver who apparently enjoyed flirting with death and made it back to our hostel. We were all exhausted so we went to bed early and had some of the best sleep of our lives.